Even though criminals are relatively dumb and lazy (if they weren’t, they’d earn an honest living) they all know that New Year’s Eve is the best night of the year to rob houses and get a lot of quality loot. The fact is, even people who almost never leave their home usually end up going out to dinner or getting together with friends on New Year’s Eve. This year, I’ll be among them as my wife signed us up to be chaperones at a church youth dance. Apparently, my job is to make sure the boys don’t just lean against the wall the entire time and that they actually ask girls to dance. As these are 14-18 year olds I may have an impossible task in front of me. 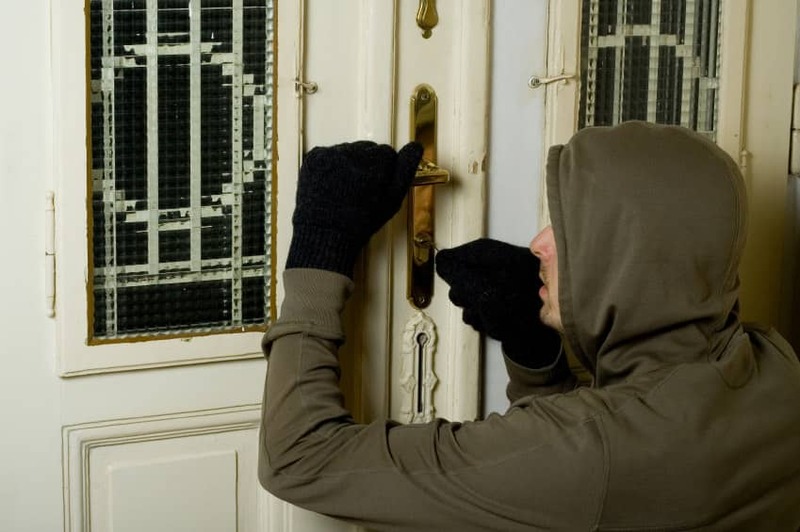 Beside the fact that so many of us go out on New Year’s Eve, the major reason burglaries occur that night is because we have a ton of new presents lying around. Thieves love electronics and jewelry and there are likely new TVs, iPads, and iPods that are still in your living room or sitting on a desk somewhere, maybe even unopened. Heck, if Santa was really good to you this year then you may have guns, ammo, and other gear sitting out too. If this is the case and you’re going out like I am you should definitely remember to turn on your alarm tonight. You’d be amazed at the number of people I talk to who’ve had their homes broken into and burglarized even though they had alarms, which they forgot to set. Also, I realize not everyone has alarms or can afford them, which is why at the very least you should have some door stopper alarms in front of all your doors. If you’re not going out tonight then you should be extra vigilant about any strange noises you hear, and be especially careful of people who knock on your front door. Burglars love to “case” a home by knocking on the front door first too see if somebody is home. If someone knocks on your front door I wouldn’t open it and I would simply talk to them through the door. If they claim to work for a company I would tell them you’re going to call the company to verify they have a person out in the area. Of course, whether you’re going out tonight or staying in you should have a firearm on you or one close by. The last thing you want to happen is to arrive home from a party and walk in on criminals (who most likely have weapons) and have no way to defend yourself. Just remember, the sober person in your party should be the one with the gun. If you’re drinking, stay away from firearms. Previous articlePress, Chamber, or Status Check: What? When? How?